After some delay, Cherry Red Records have finally released the next two installments in the Residents’ pREServed Edition series. The albums, 1979’s Eskimo and 1980’s Commercial Album, are both solid additions this series of reissues. As with the previous four entries, each album comes with a plethora of bonus tracks- which augment to the overall albums. Released in 1979, Eskimo remains one of the most unique albums in Residents’ discography. Originally meant to follow 1977’s Fingerprince, the album took some time to complete. Compared to the albums preceding it, Eskimo was a departure for the group. For this album, the band experimented in making a programmatic record: the stories attached to songs in the liner notes served as the extra narrative. If one were to read the stories while listening to the album, they would find that they line up with each other. As the album’s title would suggest, the stories are based around the Inuit culture- albeit in an absurdly fictitious manner. Musically, the album falls along the lines of ambient- with the synthesizer being the predominant instrument used. 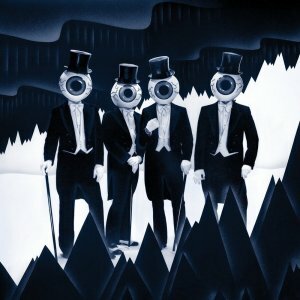 Of the many albums the Residents have made, Eskimo remains my favorite. The album’s concept is wonderfully creative and unique. It also has this dark undertone to it, from its chilling music to the stories attached to the songs. 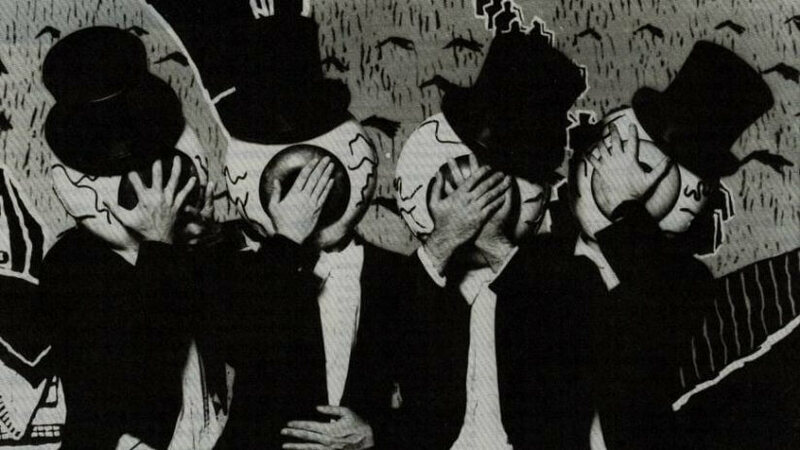 The album’s artwork is fittingly eye catching, marking the first time the group used their now iconic eyeball costumes. While considered one of the best albums by the group, some fans have pointed out the album’s weaknesses: without the stories to back it up, half of the album’s experience is taken away. For later reissues of Eskimo, the album wouldn’t feature the stories in the booklet. Instead, the stories were offered on the group’s official site. With this new reissue, all of the stories have been printed in the booklet. The unreleased songs new to this reissue are quite remarkable, ranging from demos to studio outtakes. My personal favorite is the 20 minute acapella suite, which sees all of the chants/vocals from the original recording stripped down and edited together. Listening to the track, you can clearly hear all of the hidden messages the group were singing- including several commercial slogans. Studio outtakes come in the form of the three song suite of “Kenya,” “Middle East Dance” and “Scottish Rhapsody.” According to the liner notes, these songs are thought to be from recording sessions after the making of Eskimo. Although not meant for the album, they are presented here on CD for the first time. 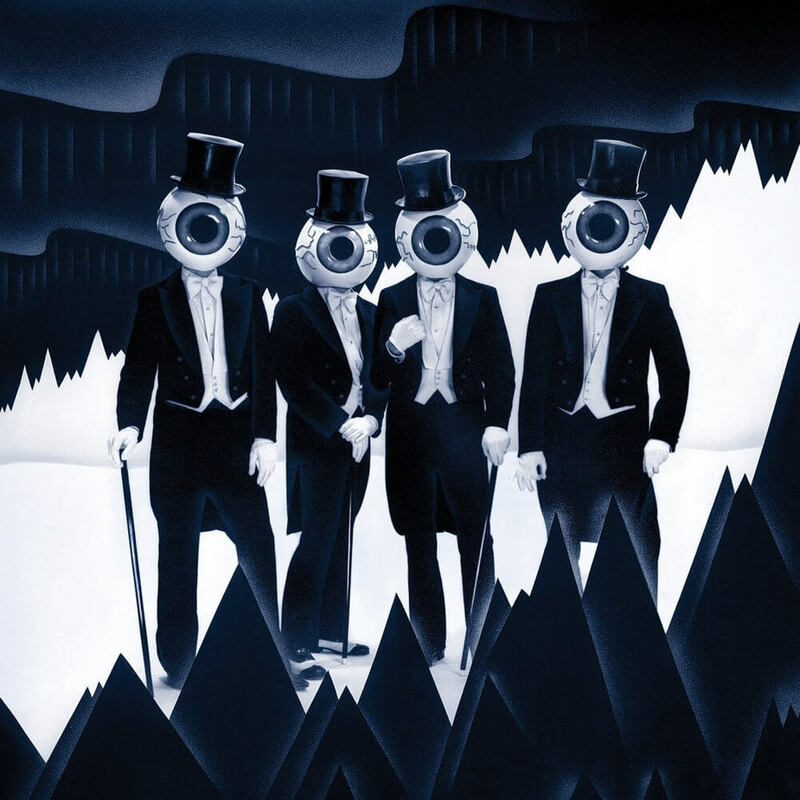 While Eskimo was being recorded, the Residents were already working on the follow up. This ended up becoming 1980’s Commercial Album. As the title would suggest, the group had indeed gone commercial- albeit on their own terms. As the liner notes state, the group had figured out that the key to pop music is repetition. On average, a pop tune is three minutes long. In those three minutes, the verse and the chorus are repeated several times. If the verse and chorus were one minute, that’s the same length of a commercial jingle. With all of this in mind, the Residents created The Commercial Album– an album solely comprised of 40 one minute songs. With 40 songs to choose from, The Commercial Album has a lot to offer. While it has that eerie Residents sound, it’s still a fairly diverse album. Unlike some of their previous albums, the album has several guests on it. Singer Lene Lovich lends her pipes to quirky “Picnic Boy” while Fred Frith and Chris Cutler of Henry Cow serve as the rhythm section for the album. Longtime Residents collaborator Snakefinger is also credited here as a backing musician, lending his vocals on several songs. Choosing favorites from The Commercial Album is a hard task, considering the number of songs and their short lengths. I enjoy the creepier songs, such as “Easter Woman” and “Give It to Someone Else.” Some of the songs here are catchy (“Possessions,” “Simple Song,” “Medicine Man”) while others are well written ditties (“Amber,” “My Work Is So Behind,” “Moisture”). I’ll admit that I’m struggling to remember many of the songs, given their short lengths. In a way, you could think of the album as a 40 part suite of jingles. As such, it’s an impressive piece of work. Whereas Eskimo had less than ten unreleased tracks, almost all of bonus audio from The Commercial Album has never been released on CD before. The bonus material ranges from studio outtakes, alternate versions, live tracks and remixes. It’s hard to pick any highlights from the bonus audio. After a while, I find that it gets to be repetitive quickly. However, I do enjoy some of the live tracks here, including a suite of songs from the album performed in 2005. In just five minutes, the group are able to run through many of the songs. The live tracks from 2013-15 are also noteworthy as the group extends the songs to over a minute. Of these live renditions, I especially enjoy the 2013 live version of “Give It To Someone Else”- which manages to sound even more disturbing than the original. In the one year of the first four entries in the pREServed editions series, many fans have been critical over the remastering of the albums. As mentioned in my last two reviews, I have to agree: some of earlier albums are too loud. When it comes to Eskimo and The Commercial Album, the dynamic range is a slight improvement over the previous ones. However, I’d recommend that fans hold on to their older CD copies just to be safe. Overall, Cherry Red have done it again with these two reissues of Eskimo and The Commercial Album. At some $20 a piece, you’re getting your money’s worth with these reissues. According the booklets for each album, the pREServed edition series will be taking on a box set devoted to The Mole albums. In the meantime, fans can enjoy these new additions to the series. I'm a writer/journalist with a passion for music and pop culture. 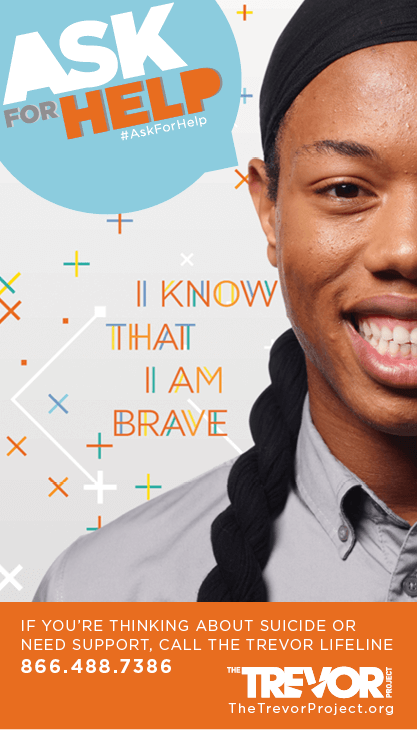 Having graduated from King's College in Wilkes-Barre, PA in 2014, I've been looking for a platform in which I can share my passions. 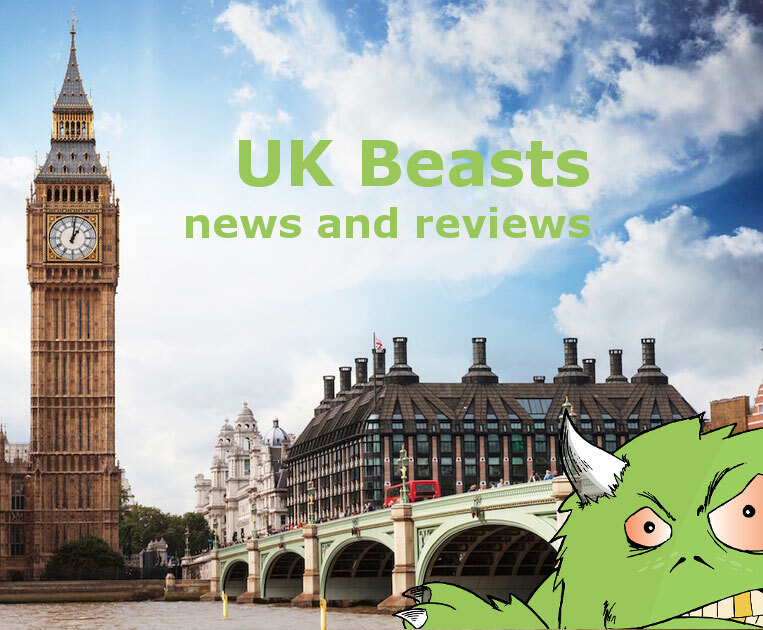 Since 2009, I've been posting to my own blog- The Walrus' Music Blog- via Blogger. I'm also the author of two self-published books, "The Camp: Stories from the Summer" and "The College: Stories from King's." Together, the two books cover the story of my life from 2004 to 2014. I've been lucky enough to interview several of my favorite musicians over the years and go to concerts from time to time. I'm also very devoted to the CBS reality TV show Survivor, which I started watching in 2002 when its fourth season started. I currently live in New Jersey.